This is an image of a locker or vault. 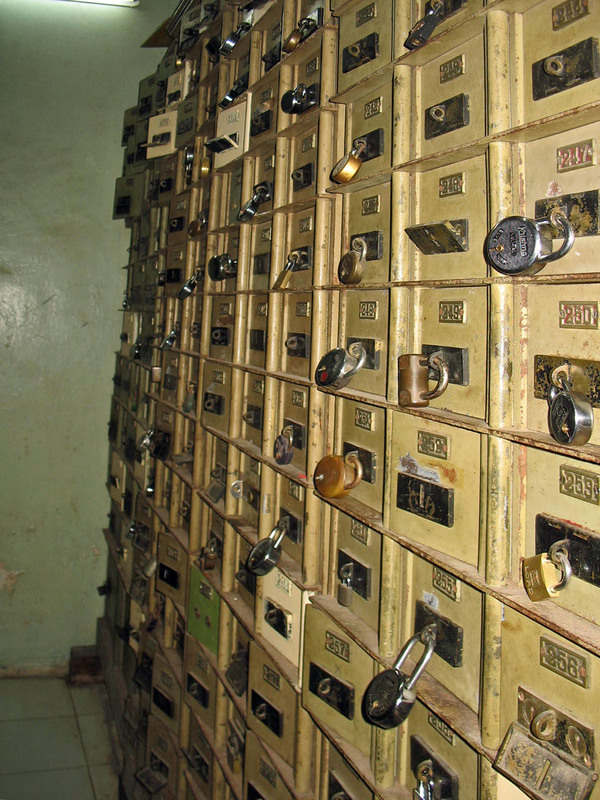 In the picture there are rows of small safety deposit boxes in a bank. This is where people store their precious jewels, papers, documents or gold. The bank usually holds a key but the locker can be opened only when both keys are used.